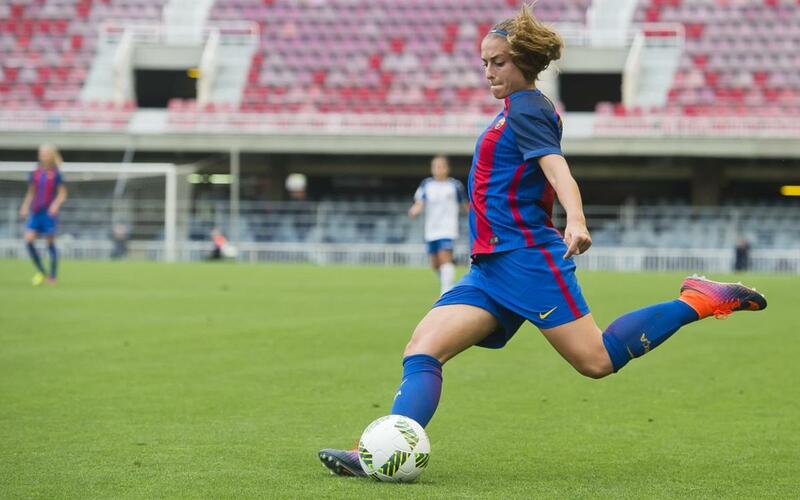 The Women’s Champions League is back at the Miniestadi this Wednesday at 5.00pm CET, some seven months after the epic encounter with Paris Saint-Germain packed the ground. Barça’s round of 32 opponents are FC Minsk, and after a 3-0 victory in the first leg in Belarus, they are brilliantly poised to make it through to the last sixteen. If you are in Barcelona today, there is free entry to the stadium. If not, you can still catch all the action because the game will be streamed live at www.fcbarcelona.com (commentary in Spanish). The women have got off to a perfect start in their domestic campaign, where they are top of the league with a 100 per cent record, but will be missing Ange Koko for this game. She has had to return to the Ivory Coast for bureaucratic reasons. Barcelona are in the competition for the fifth consecutive season. They made their debut in the 2013/14 edition, going out to Arsenal (England) in the opening round. Their second appearance was more successful. They got past both Brondby (Denmark) and Zurich (Switzerland) before losing to defending champions Wolfsburg (Germany) in the quarter finals. In 2014/15, Barça eliminated Slavia Prague (Czech Republic) but were edged out by Bristol Academy (England) in the last sixteen. And last season they reached the quarter finals for the second time, beating BIIK Kazygurt (Kazakhstan) and Twente (Holland) along the way. The memorable 0-0 draw with PSG at the Miniestadi was followed by a narrow 1-0 loss in the French capital.